Visibility via local search is vital to local businesses. Customers are looking: 1 in 3 searches are about a place and 97% of consumers search for local businesses online. Ensure your business gets found via local search. 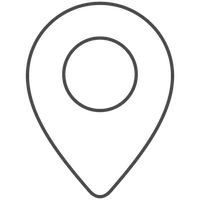 Local search drops a pin on the map for your business much like purchasing a Yellow Pages listing. The more accurately and broadly distributed your business’s name, address and phone number, the more trust the search engines have in delivering your business as the #1 service in a given geographic area. Results are delivered quickly so that your customers can start finding your business right away. Compete in a competitive national marketplace as the search engines reward businesses with a physical presence. Local search complements SEO well and influences the organic search results. "50% of consumers who do a local search on their phone visit the business within a day. And yet, many local businesses have misinformation in their maps listings in Google, Bing, and Apple. We love helping local businesses take ownership of their local listings and build online reviews." webShine makes sure your business gets found via a local search network which includes Google Maps, Yahoo! Local and Bing Maps, Yelp, Foursquare, MapQuest, Superpages and more. We combine manual management of the top listings with automated management of second tier local platforms to create a cost effective and powerful local search solution. Update and sync location data across our network of 50+ search engines, mobile apps, ad platforms and local directories. Enhance listings with photos, specials, services, menus and more. Moved? New phone number? We’ll clean up old local business data and replace it with the new.